Where possible for peace of mind we offer fixed pricing on our Computer Repairs. No matter how long it takes, you only pay the quoted price. Purchased a new computer? Setting up your new PC or Laptop can be confusing and frustrating. Bluefish Computer Services offers a computer installation service to help you get up and running fast and without any hassle. We remove all types of Viruses, malware, trojans, rootkits spyware etc. We can detect malware and remove it quickly and efficiently ensuring your data is safe. The End Of Windows XP! Old or broken laptop? At Bluefish we can reuse or responsibly recycle your old laptop while giving you cash. Don't head off to the tip give us a call instead for a quote. We specialise in supplying and fitting brand new and high quality LCD panels from less than £60, complete with a 12 month warranty. Dim or flickering screen? We can help, call today for a quote. We are able to remove all types of malicious software, including viruses, trojans, spyware, adware, and rootkits. 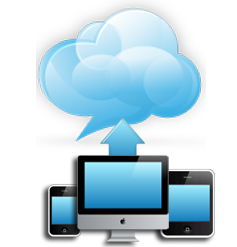 We can also backup your data and install the latest anti-virus if needed. 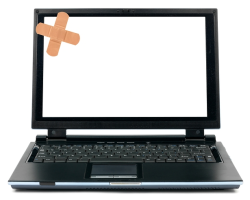 We can repair or service your Laptop or Desktop PC. We are experienced and fully insured. Work can be completed at your location, in our workshop or we can provide a collect and return service. We would be delighted to hear from you whether you just need some friendly advice over the phone or further assistance. Contact us by phone or email from Mon - Sun 08:00 - 20:00. 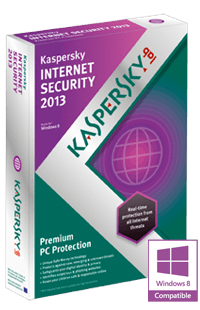 Kaspersky Internet Security, award winning technology ensures you are always safe when online banking, surfing, emailing etc. Invest in a product that will protect your files and identity from the latest attacks. Contact Us for further info. Bluefish Computer Services is a friendly Chichester based Computer Repair, and IT Support business here to meet your computing needs. We have over 17 Years experience in IT. We are very proud to have been awarded the status of "Approved Trader" under the WSCC Trading Standards Buy With Confidence Scheme. We aim to be as flexible as possible offering an on-site or collection and drop off service in Chichester and the surrounding areas. We aim to repair your PC / Laptop computer as quickly and efficiently as possible. Read our Computer Repair FAQ, section if you have any questions or give us a call. Whether you just need some helpful advice over the phone or require further assistance, feel free to Contact Us, we are open Mon - Sun 8am - 8pm.